Today, your client not only determines where and when they want to access basic services such as balance inquiry, funds transfer and bill payments, but is always one click away from abandoning their journey if their experience isn’t up to their expectations. They expect relevant, personalized information driven by their current preferences, recent interactions, and latest product and support experiences. 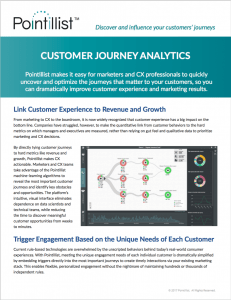 Pointillist connects millions of data points and helps discover customer journeys within minutes, without the help of data science teams. Our machine-learning algorithms make it easy to uncover and predict the experiences that matter most to your customers. Pointillist helps you identify new opportunities to delight your clients in differentiated ways and build lasting relationships. What’s the most efficient and cost effective way to attract new clients? Pointillist gives you the ability to determine which acquisition channels are most effective or drive the highest customer lifetime value. Interested in growing your share of wallet? 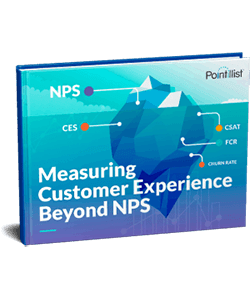 Pointillist helps you identify cross-selling opportunities beyond your onboarding program and trigger personalized communications using the most optimal timing, offer, and channel. Looking to increase profitability through improved retention? Pointillist gives you the power to identify and target at-risk clients before they close their account. 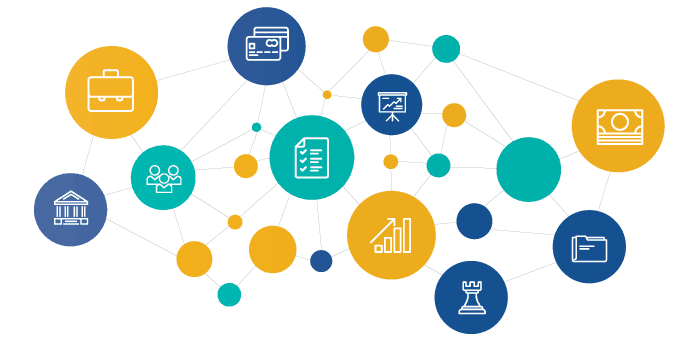 Today, consumers evaluate new financial services providers based on whether they provide a flexible, efficient, consistent and personalized experience. Pointillist lets you spot behavioral patterns—even among anonymous visitors—so you can reduce friction with a personalized experience. 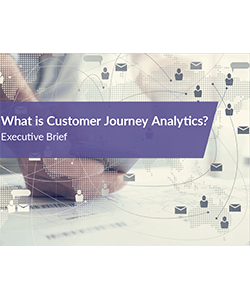 What is Customer Journey Analytics and How Does it Help in Financial Services?